One useful tool in troubleshooting an AD RMS issue on the client is tracing. All that is needed is a tool from Sysinternals, a registry change, and reproduce the issue. The following logging is for the MSDRM client. For information on logging for the MSIPC client please see AD RMS Troubleshooting: Client-Side Tracing (MSIPC). It may be useful to "reset the client" prior to tracing. 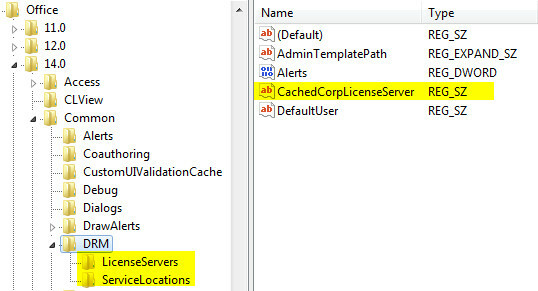 The registry location for the tracing is dependent upon the OS architecture (x64 or x86) and the Office architecture. The steps are performed on the client. The DebugView output may be saved and viewed in a text editor. Run regedit.exe and navigate to the appropriate registry location. Create a new key named MSDRM (screenshot below). 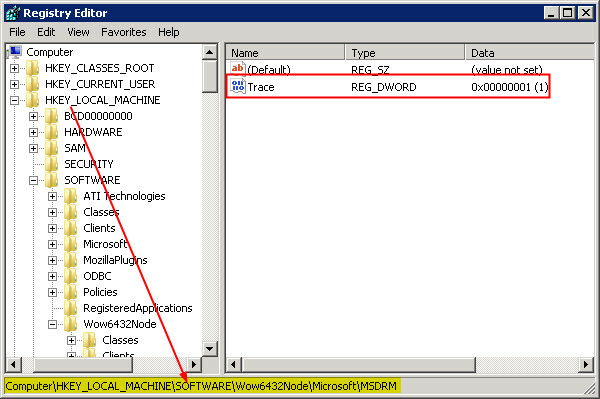 In the MSDRM key create a new DWORD value. Run DebugView (as an administrator on Vista/Windows 7). Under the Capture, menu select Capture Global Win32 (screenshot below). Start the Office application and reproduce the issue. 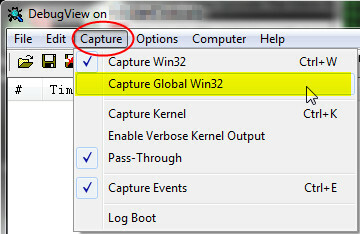 Stop the DebugView capture and save the output. The DRM specific output is prefaced with [msdrm] in the DebugView output.